I work with people and companies in transition, helping them to cross over a threshold into a new chapter. From letting go of what no longer fits to exploring a brand new future, I create bespoke experiences, rituals, workshops and mini-adventures that allow individuals and organisations to embrace profound change. Whether on a one to one adventure into wonder or a group workshop exploring your creativity, all the experiences I offer take place in beautiful, unusual and magical settings. 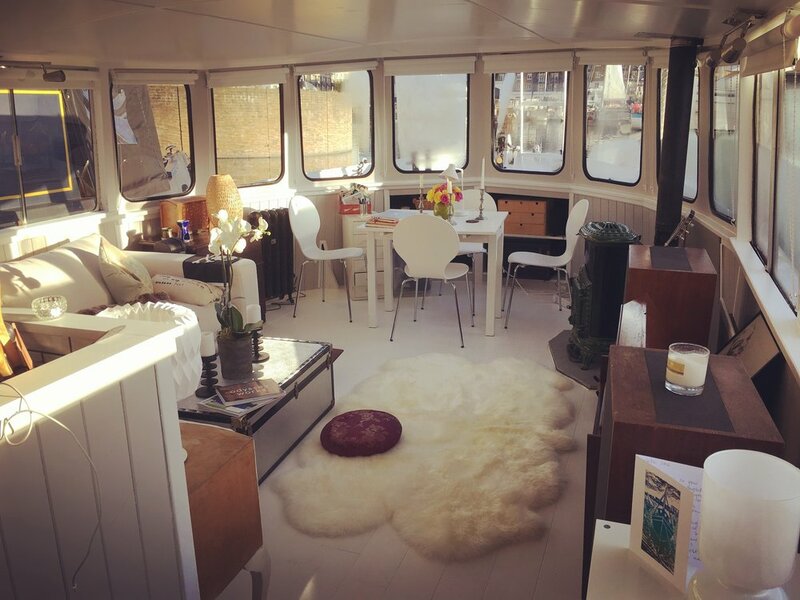 I live on a beautiful houseboat right in the centre of London, where I see clients. It feels like being on retreat, even while in the heart of the city. The workshops I run, as well as some of my one to one sessions, take place in magical, ancient forests, giving us a much needed break from the hectic city pace. I take people into the city streets to explore new ways to see the world around them, finding the magic in the mundane in all sorts of unexpected places.